Industry fears tougher US stance on IP after President Donald Trump asserted that foreign countries must pay a fair share for drug development costs. Aneesh Phadnis reports. IMAGE: Donald Trump has told pharmaceutical majors that foreign countries have been "freeloading" on the US with price controls that limit what can be charged on their citizens for medicines. Photograph: Alexandra Beier/Reuters. The Indian pharma industry fears a tougher US government stance on intellectual property rules after US President Donald Trump asserted that foreign countries must pay a fair share for drug development costs. Trump made the remark and reiterated his call to lower drug prices for American consumers and said he will encourage local manufacturing. Trump, who met senior executives of pharmaceutical companies, including Novartis, Merck, Johnson & Johnson and others, said foreign countries have been "freeloading" on the US with price controls that limit what can be charged on their citizens for medicines. According to D G Shah, secretary general of Indian Pharmaceutical Alliance, Trump's remarks indicate a hardening of stance by US government on intellectual property rights issues. "This was anticipated and I believe the US will put pressure on India to amend its intellectual property rules to allow longer exclusivity for patented products and making generic versions difficult," he said. According to Shah, prices of patented drugs are lower in Canada, United Kingdom and Australia in comparison to the US. In India, price of patented drugs does not come with government imposed price control. "I believe the US President is targeting the big innovator companies in the US and wants them to manufacture locally," he added. "Innovation costs are borne by companies and not by the US government. There is no mechanism at present how the innovation costs can be recovered from citizens of foreign countries," said Kewal Handa, promoter-director of Salus Lifecare. Trump told the drugmakers that pricing had been "astronomical". "We have to get prices down for a lot of reasons. We have no choice, for Medicare and Medicaid," Trump said at the meeting, citing the nation's government insurance programs for the elderly, the poor and the disabled that together are the largest US purchaser of medications. Trump also said currency devaluation by other countries had increased drugmakers' outsourcing their production and called on the companies to make more of their products in the US. He added that foreign countries must pay fair share for drug development costs. "We're going to end global freeloading," Trump said. 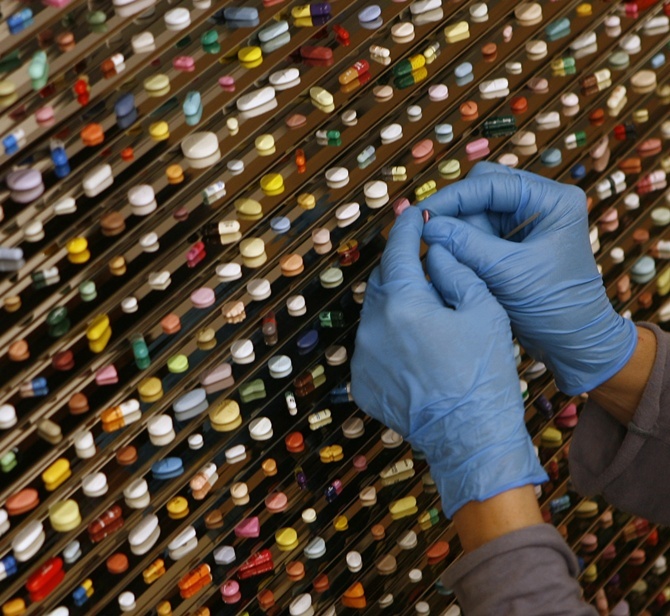 What is ailing India's pharma sector?